Tidbit Tuesday - pet stuff & some great new books! Well, things have been lively around here the last week. Last Tuesday, our cat Misha had an ultrasound so we could learn more details about his chronic pancreatitis and kidney disease. The results: he has chronic pancreatitis and kidney disease. Nothing we didn't already know. Sigh...oh well, I guess the important thing was to rule out more serious conditions. So the vet prescribed some fatty acids for the kidney disease and Tramadol for the mild pain from the pancreatitis. Great, right? When I gave him the Tramadol, first he got sick, then he...well, it can only be described as "tripping." He sat in the middle of the floor, pupils fully dilated, staring around at...absolutely nothing. Then he'd move into another room, with great purpose, and do the same thing. Head right, head forward, head left. It was like he was stalking a herd of mice who weren't there. Of course we called the ER (this was almost midnight), and they said that as long as he didn't get sick again or start acting drunk and disoriented, not to worry, it would wear off (apparently it's okay for cats to act stoned, but not drunk). So we slept in shifts that night--watching Misha trot, sit, stare right, stare forward, stare left, then run up or down the stairs and start all over again. The next morning he stopped staring long enough to eat, then he was back on the prowl, hunting pixies. His regular vet said it would be safe to leave him alone, though maybe we should consider putting him in the bedroom so he wouldn't fall down the stairs. And we did have to leave him, since Meadow needed to go to Vienna, VA, for an MRI for her back. She had surgery two years ago for five (!!) herniated discs, and while the surgery helped A LOT (saved her life, really), she's never gotten back to normal activity. So her new vet (a sports medicine specialist--don't laugh, she's a greyhound, so I figured who better to treat a former professional athlete than a sports medicine doc?) wants to try some new therapies to help her pain, and for that he needed an MRI to see where the problem was located. Being a dog, she can't just point to her back and say, "It hurts here." All went well with the MRI, and when we got home, Misha was alive but still tripping. By Saturday he was back to normal, but the poor little dude went almost 48 hours without sleeping. Since cats sleep roughly 20 hours a day, that would be like a human going about 3-4 days without sleep. In better Misha news, I finally got around to resetting his Twitter password (which I'd forgotten), so he's tweeting again. Enough about the beasts! They take over my life as it is. I want to tell you about two new books that come out today, and one that was released last week, when I was too busy carting Misha around to blog about it. 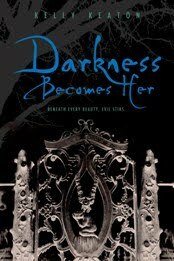 The first is an AMAZING new YA paranormal called Darkness Becomes Her by Kelly Keaton. I read this a couple of weeks ago on my trip to Branson and had to force myself to stop halfway through because I was afraid I wouldn't have anything to read on my return trip! This urban fantasy is downright electric. It takes place in a future New Orleans known as New 2, a city so ravaged by floods and hurricanes that the US gave up on it. The nation sold off the city to the Novem, nine very old families who run the city and protect it from the worst of the supernatural forces. The main character, Ari, comes from a tragic lineage and must delve into great evil to find out more about the curse that drove her mother to kill herself at age 21. I can't say much more without spoiling the treasures within the book. Every page reveals a new horror, but also a new humanity. The misfit cast members are so real and sympathetic, despite their unusual traits (such as Violet, an adorable ten-year-old girl with fangs and a pet alligator named Pascal), that I can't help but feel hope for Ari despite her cursed destiny. The world-building is great, too--it's complex without being overwhelming, and I understood how the pieces fit together, or at least had the sense that Keaton understands and will reveal all when the time is right. In other words, I never had one of those, "Wait...what?" moments. 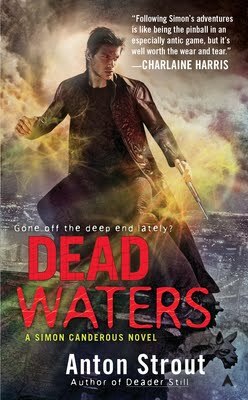 The other new release is Anton Strout's Dead Waters, the fourth in his Simon Canderous series. I haven't read this installment yet, but the series keeps getting better and better, so I have high hopes for it. If I ever make up that "If You Like the WVMP Books" page on my website, these novels will definitely be on it--they've got humor, lots of undead action, and a main character living in our world, not a souped-up, over-glamorized version. I feel like I could step off a bus in Manhattan, shamble through a coffee shop, straight into Simon Canderous's office at the Department of Extraordinary Affairs. Not that I would want to--I've got my own piles of paperwork, thanks. Plus, there's a main character named after someone from Mystery Science Theater:3000. What could be cooler? For more on this series, jump in the JeriBlog Wayback Machine and read an interview I did with Anton when Book One, Dead to Me, came out in 2008. We were so young then. The first shall be last! Or something. 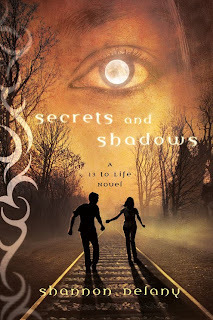 February 15 saw the release of Shannon Delany's Secrets and Shadows, the much-anticipated sequel to 13 to Life. 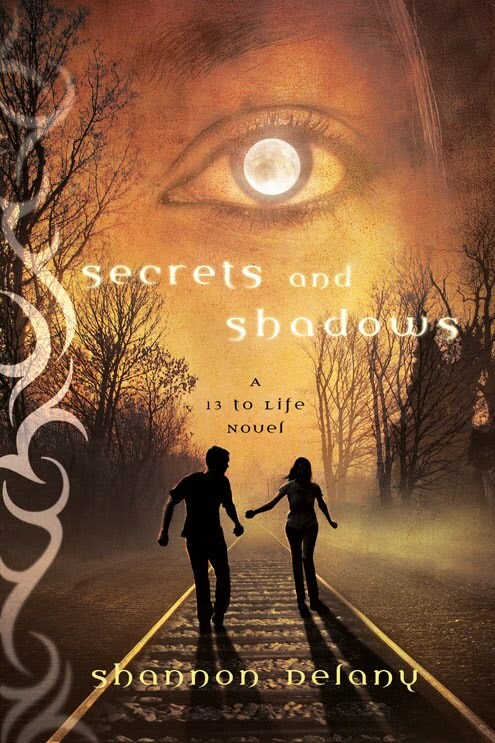 Shannon took part in my Blogtoberfest in late 2009, and I also talked about how much I love 13 to Life last year when it was released. If you haven't tried this series yet, what are you waiting for? The third installment comes out in August. Wow. Longest Tidbit Tuesday ever. Just got word that the mostly-Smart Chicks anthology, Enthralled: Paranormal Diversions will be out September 20, 2011 and is now available for pre-order on Amazon. Yay! You can read more about it on the blog of Melissa Marr, who, along with Kelley Armstrong, edited the anthology. As you can see, it's full of stories by amazing YA paranormal authors. Some of us wrote stories set in the world of our current books, and some wrote stories set in new worlds. My contribution, "Bridge," is from the point of view of Logan Keeley, the main ghost character in Shade and Shift. I'll talk more about "Bridge" as the release date gets closer, but I will say that writing Logan's story was one of the most rewarding things I've ever done. It meant a lot to me to be able to give Logan his voice directly, without being filtered by Aura. After all, I did kill the poor dude three chapters into the series. I owed him that much. Tidbit Mooseday--I mean Tuesday - Live chat, SHIFT ARC giveaway & big news! Hey! Our internet connection here at the retreat has been super spotty, so I haven't been online much (or rather, I've been online, mostly staring at the little dots go around in a circle on my browser tab, waiting for pages to load). But we're having an amazing time writing, chatting about writing, cooking (washing dishes, in my case), playing pool and foosball (badly, in my case), and trying to avoid the watchful eyes of the 7+ deer, two pheasants, and one moose. 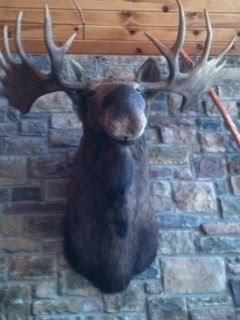 Speaking of which/whom, if you want to find out what's really going on at our retreat, you should follow Freddy the Moose on Twitter. 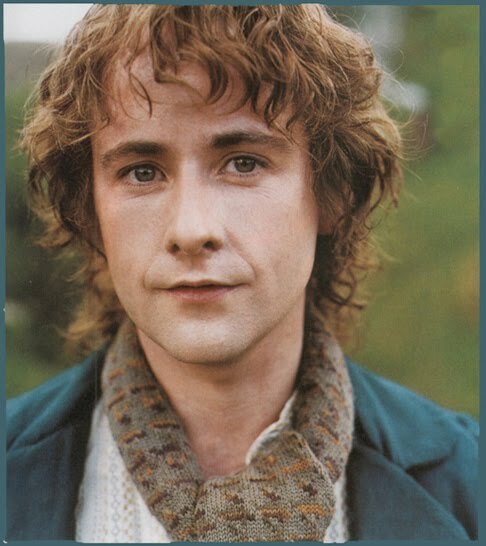 He's like the official undercover tabloid reporter, stealing our secrets and sharing them with you. As I've been tweeting/Facebooking for the last few days, the lovely Jackson Fierce Pearce has been hosting live video chats at 8pm Eastern/7pm Central with four or five authors a night, where you can join in and ask us questions. We don't announce ahead of time who'll be on each chat, but there are only five of us left, with one last go-round tonight (at 8pm Eastern/7pm Central, did I mention that?). 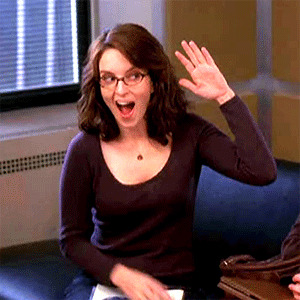 And...since I haven't gone yet, you can probably draw the obvious conclusion. Hey, Jeri, do you have any big news for us? Feel free to copy and paste that ^^^^ into the chat window if you have trouble remembering. On Thursday I'm going to give away a signed ARC of Shift, the sequel to my YA book Shade, here on the blog. Like my first Shift ARC giveaway, you enter by answering a few trivia questions, but the answers to the questions will be contained in tonight's live chat. They won't even all be about me (one thing I've learned this week is that other people exist), so you'll have to watch all the authors to get your answers. If you can't make the live chat, don't worry--it will be posted on the site after it's over so you can watch it at your convenience. EDITED TO ADD: Sorry, mistake! They won't be recorded, so you have to be there live. Since it's not really fair to make a contest for such a small number of people, I'll hold a separate contest next week. Again, sorry for my dorkiness! Shift ROCKS. Hard. I read it when I was sick and wanted to do nothing but sleep and yet it still managed to make me never, ever want to put it down...Even though it's the second book in a series, it doesn't feel like the second book in a series. What I mean by that is a lot of the time, Book 2 just feels like an extension of Book 1 and is just carrying the characters along to Book 3 with no real plot, no real ending. But Shift is fully developed and the ending is wrapped up nicely while still leaving the reader with enough questions to make them want the next book RIGHT NOW. If there's one book you pre-order all year, it should be SHIFT. It's truly refreshing and is definitely going to surpass everyone's expectations. For more details, read the rest of the review. And if you want to take Harmony's advice, here are some preorder links for Shift, including one where you can get it personalized and autographed by me, courtesy of my favorite indie bookstore, Constellation Books. Anyway, last week's talk for the Maryland Writers Association was snowed out and has been rescheduled for this Thursday. I'll be discussing writing fantasy for adults and teens, including what should be a very enlightening (and somewhat laughable) Year in the Life of a Published Author, or, "Would you prefer a Local or Express Ticket on the Crazy Train?" Place: National Museum of Civil War Medicine, 48 East Patrick Street, Frederick, Maryland. The talk begins at 6:45, and books will be available for sale and signing. NOTE: PLEASE ARRIVE ON TIME. I am told that due to the setup of the museum, the doors will close at 6:45 and no one will be admitted afterward. Then Saturday morning I take off to Branson, MO, to spend five days at a wild 'n' wacky writers retreat coordinated by author Maggie Stiefvater. You can read all about it on her blog, where she's taking reader questions that will be answered by one or more of us during one of roughly 2,136 video blog posts to be filmed (not by me, since my smartphone has a crappy camera, and besides, I'm really shy about taking people's pictures, dunno why--I'm okay with having my picture taken, but pointing it at someone else? Scary.). And now...I saved the best tidbit for last! 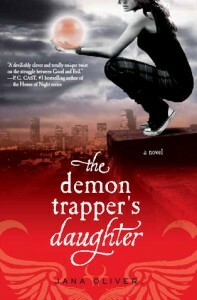 Today I'm proud and excited to announce the release of my critique partner Jana Oliver's debut YA novel, The Demon Trapper's Daughter! It's a gritty, gripping urban fantasy that I think both teens and adults will enjoy. It takes place in a near-future dystopian Atlanta, where the main character, Riley Blackthorne, is a demon trapper like her dad. The second book will be out at the end of August, which makes me very happy, because I've known this book since it was a baby manuscript and I can't WAIT to finally find out what happens next. Hope you're all staying safe and warm during this terrible snow/ice-storm and--um, I guess if you're not, your power is already out and you can't read this, anyway. Well, good luck!